Christmas Orders due by Saturday, December 16. We expect a heavy volume of orders again, and may not have a selection for you to choose from if you do not order ahead. It is unlikely that we will have extra pies in the shop. We cannot guarantee orders placed after Saturday, December 16. Please note that the shop will be closed beginning Christmas Eve, Sunday, December 24 through Thursday, December 28. We will reopen on Friday, December 29. The shop will close at 2 PM on New Year’s Eve and reopen Wednesday, January 3. We are also featuring a selection of fudge from Terry’s Kitchen, a local business like Smith’s OrchardPie Shop. We sell a variety of quality products that make wonderful gifts alone or in a gift basket including salsas, dressings, jams, soup mixes as well as apples, beef and pork raised on our farm. 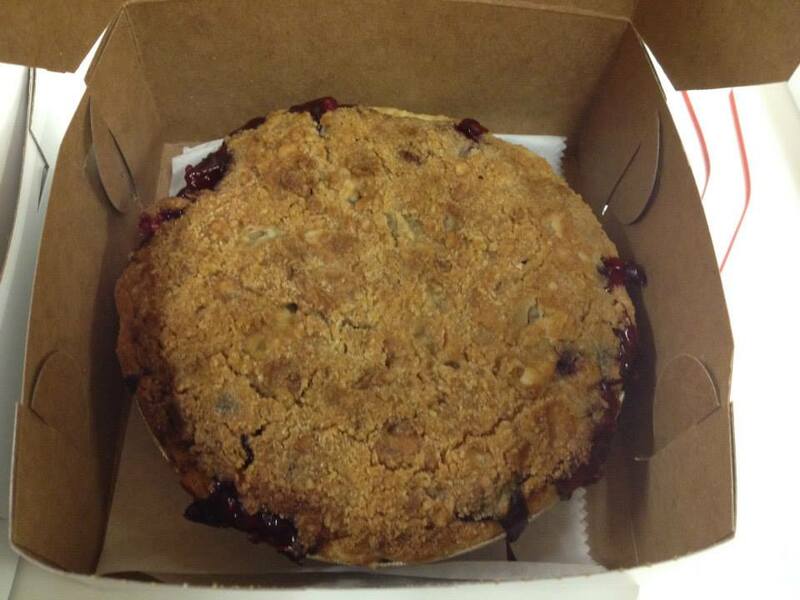 Our small pies make great grab bag gifts or can be added to a gift basket. We also sell gift certificates.